Experience the real taste of freshly picked blackberries when you take a bite out of Hawaiian Shaved Ice�s blackberry flavored snow cone syrup. A taste so real, you will be checking your teeth for seeds when you finish eating this tasty shaved ice treat! For a slightly sourer fruity flavor, try this snow cone syrup. Kids love the slightly tart flavor of blackberry sno cones; it is sure to be a favorite at your next kid�s party or just family time around the house. 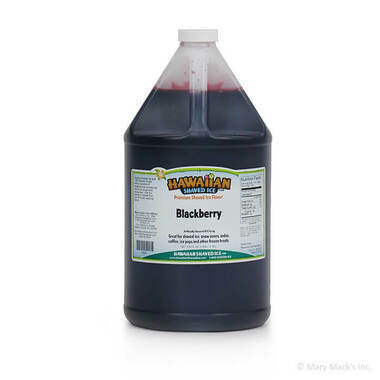 Purchase a gallon bottle of blackberry snow cone syrup for a satisfaction that won�t run out! 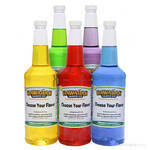 Make the enjoyment last when you buy this flavor! 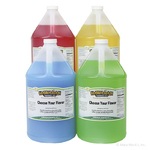 We also sell this great flavor in a quart size, for your convenience. You can grab this flavor in an assorted package as well, so you can add more of your favorite flavors from Hawaiian Shaved Ice!